Janmeja Singh Sekhon, the PWD Minister, Punjab, informed here today that the dispute pertaining to stretch of road between Machiwara and Rahon on the Khanna-Nawansahar road, near village Udhowal has been successfully resolved and soon the PWD department would develop the stretch into a road, giving a big relief to the commuters as the Malwa region would now be connected to Majha and Doaba via this road. Mr. Sekhon further informed that the construction of the proposed road commenced in the year 2002 but unfortunately could not be accomplished as the three brothers namely Gurdev Singh, Tarlochan Singh and Gurmit Singh who owned a piece of land falling in stretch earmarked for the road, obtained stay from the hon’ble High Court in the year 2006. 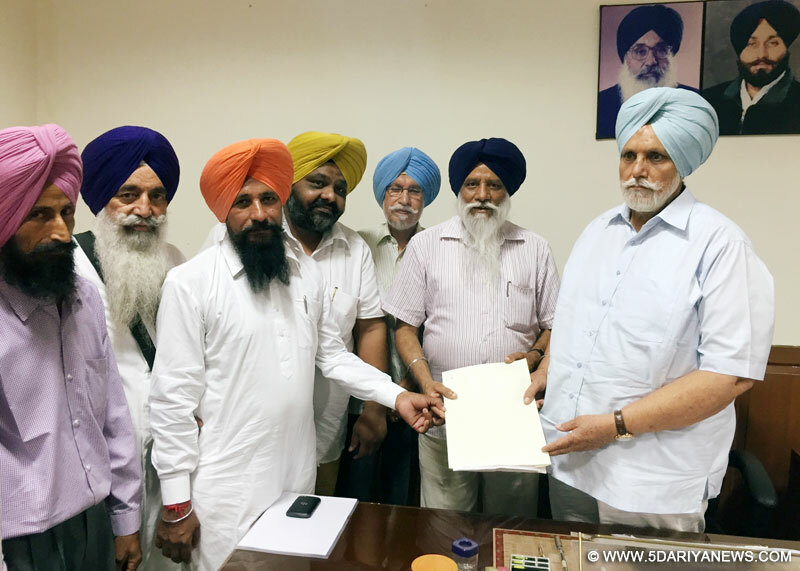 He said that due to the committed efforts of S. Balbir Singh Rajewal, President Bhartiya Kisan Union and S. Rupinder Singh Benipal, the Youth Akali Dal leader, the three brothers have finally withdrawn the case from the court and the stay has been revoked. Honoring Rajewal, Benipal and the three brothers in his office in the Punjab Civil Secretariat here today, Mr. Sekhon appreciated their initiative and support. He said that the due to non-completion of the construction work, the said stretch had become a source of trouble to the commuters and had virtually transformed into an accident prone area but now as the stay has been revoked, the construction of the road would be accomplished on top priority. On this occasion, the owners of the property handed over the copy of withdrawal of the court case to the minister. They were accompanied by Giani Mohinder Singh, former president Nagar Council Samarala, Mr. Alamdeep Singh and Mr. Tejinder Singh.